Professor Hugh Craig – a pioneer of the digital humanities in Australia, a generous teacher and mentor and one of the University of Newcastle’s most respected leaders - is retiring after a 40-year career. Known for his masterful composure and intellectual acuity, Professor Craig is one of the University’s most highly regarded scholars and a world leading expert in stylometry, the statistical analysis of literary stylistics. His research involves a unique mix of literary studies, statistics, linguistics and computer science, and has defined the field. Professor John Germov, Pro Vice-Chancellor (Education and Arts), said Professor Craig had made an important and sustained contribution to leadership at a School, Faculty and University level. “He has been in all ways much more than a model university citizen. He has made a positive impact on the lives of his students and colleagues and inspired us to be the best we can be,” he said. The University Council has conferred the title of Professor Emeritus as a most fitting recognition of his outstanding academic achievements and record of service. Professor Craig is an expert in sixteenth and seventeenth century literature, including Shakespeare and his contemporaries. 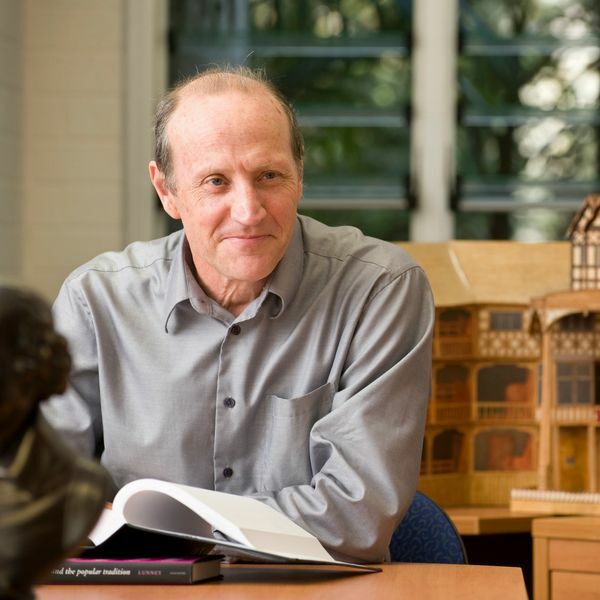 Applying literary and linguistic computing techniques to early modern literary studies, he has helped to establish Australia and New Zealand as leaders in the field of Shakespearean and early modern bibliography. As Director of the Centre for Literary and Linguistic Computing (CLLC) since 2001, and building on the work of his mentor, Emeritus Professor John Burrows, Professor Craig’s work has demonstrated that quantitative, statistical and other computing techniques can help to analyse and appreciate literary texts. Over the years, Professor Craig has supervised, mentored and trained some of the world’s top specialists in stylometry, and today this work is internationally accepted as a way of describing writing styles empirically and establishing the authorship of disputed works. One of Professor Craig’s most significant contributions to the field has been the computer-assisted exploration of the use of the most common words in the English language, such as he", "and", "but" and "if". Analysing the frequency with which different writers use these words has enabled Professor Craig and his team to understand the unique ‘signature’ that defines writer’s styles. Among his findings are that Shakespeare was the likely author of a number of scenes from the Ben Jonson play, The Spanish Tragedy, and that Christopher Marlowe collaborated on parts of the Henry VI plays – reflected in the inclusion of Marlowe as co-author on the title pages of the plays for the first time in the 2016 New Oxford Shakespeare. Professor Craig has demonstrated a remarkable openness to collaborate throughout his career, leading to the application of computational analysis beyond the work of great writers to research in the health sphere. His techniques have been applied to the analysis of biological markers in blood samples to identify a type of cancer, and in the field of speech pathology, where changes to language are being used in the early identification of Alzheimer’s disease. In his leadership roles at the University of Newcastle, Professor Craig has helped to promote a culture of excellence in the Faculty of Education and Arts and is highly regarded by everyone, from his academic and professional colleagues to his students. He leaves the University as retiring Director of the Centre for 21st Century Humanities (since 2015), and Director of the Centre for Literary and Linguistic Computing. He has held a series of senior leadership roles in the Faculty of Education and Arts, including as Director of the Humanities Research Institute at Newcastle from 2010-2012, where he provided new focus and momentum for humanities research at the university; and as Deputy Head of Faculty and Assistant Dean – Research (2013-16), where he designed and implemented a new Faculty research strategy. Under Professor Craig’s oversight, the Faculty has built scale, improved its global rankings and ERA performance, and increased research funding by 10% annually, with more than 50% now sourced from industry. He has also been a generous supervisor, with 48 HDR completions, who has helped many progress their careers through co-publishing and collaboration. He has a masterful light touch that allows his colleagues and students the freedom and confidence to explore the possibilities, to think for themselves and to find the best solutions. For those who have worked with him, Hugh Craig will perhaps be remembered best as a connoisseur of fine wine and a good cup of tea, a lover of a good read, as self-effacing and charming, a passionate and rigorous scholar, a talented administrator, and a highly-valued mentor, colleague and friend to many at the University of Newcastle.